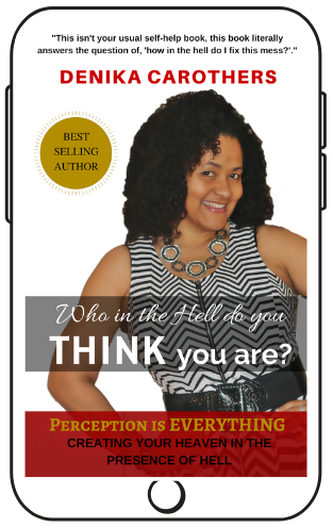 Perception IS everything, so if you don't like the way your life is looking then let this book show you how you can change the way you SEE your life. I truly believe that everyone in the world needs to get this book into their hands, their minds and their hearts. Who In The Hell Do You Think You Are is an easy read, easy to understand and is written to clearly answer some of the bigger questions of "Who Am I? ", "How Do I Live My Purpose?" and "What Are the Answers to the Bigger Questions?" This book could possibly be the bridge between your questions and your answers. ​Many people feel that their life is screwed up in one way or another without understanding how they are creating the experiences they are having. It can be rather difficult to DO better when you don't KNOW better. Who In The Hell Do You Think You Are will help you understand HOW you can create an amazing life, by equipping you with the necessary tools to live a life of joy, peace and fulfillment. This book will serve as the bridge between the question: "How do I fix my life" and the answer of... THIS IS HOW TO FIX IT. The Book That Will Change Your Manifesting Abilities! What in the Hell Do You THINK you Want is available for pre-order now. 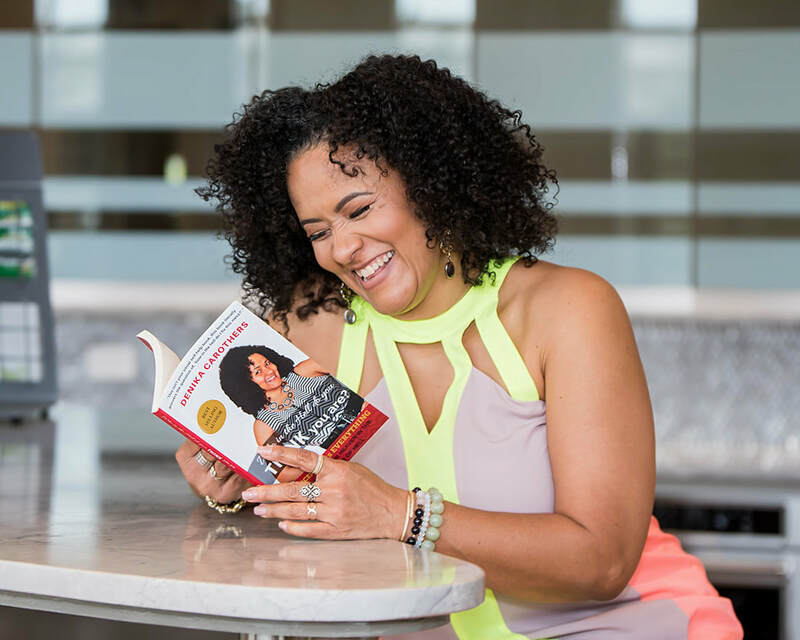 If you're having a challenge taking your vision from the board, or your head, to manifesting it into your reality then this book needs to be in your personal growth arsenal. If you want more for your life than you are currently receiving, then pre-order your copy now. You haven't read anything quite like this before. "One of my most favorite aspects about life is diversity, the infinite ways teachers appear into our lives and the many ways we learn lessons. As it pertains to our personal development and evolving into our best self, there is NOT a one size fits all approach. Instead, the catalyst for change varies for each of us. An 'aha moment' for one is not even a blip on the radar for another. This is neither right or wrong, instead it just is. Denika provides another option for those on a journey of self discovery or in need of a refresher. Her approach is gentle, allowing the reader to not miss the message for the messenger. There is no ego instead it is quite evident Denika is operating from a love space. "Who In The Hell Do You Think You Are has come at great time on my spiritual path. It's beautiful and rewarding when you can recognize what you need to work on in life and actually apply these awesome universal laws/tools to your daily life. In my experience, when applying these spiritual tools, you get the results you are looking for, without allowing yourself to get in the way. That's what this book has truly confirmed for me. I know that I'm on the right path, and hearing the truths spoken through Denika Penn-Carothers, gives me just the right amount of insight I need to continue on my spiritual path. Who In The Hell Do You Think You Are, gives me access to removing all that layers my soul, a guide to really deeply see myself for who I am, and my inspired plan for this awesome journey, we call life. I believe that we have soul contracts and lessons we are given before coming to earth, and with all the distractions on this earthly plane, it's easy for our egos to distract us (with invalid negative self-talk) from the real reasons why we are here. Who In The Hell Do You Think You Are, gives solid answers and examples for beginning and sustaining your spiritual growth, while living with these distractions, eventually creating a positive habit of designing the life you desire. We are spiritual beings having a human experience and Who In The Hell Do You Think You Are, guides you into identifying your souls purpose and living fully expressed in it. "Who in the hell do you Think you are?" Is a powerful question or is it a statement? 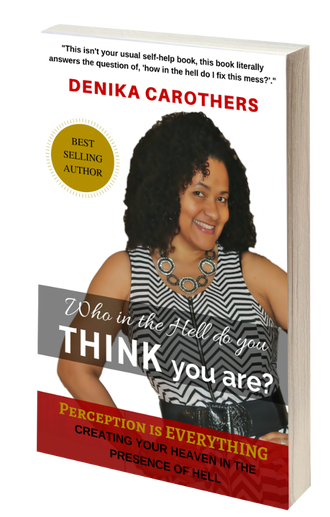 Denika Penn-Carothers premier publication leaves you questioning many facets of your life and pure existence. Her ability to soothe the spirit with a little bit of warmth and a pinch of tough love will certainly elicit a positive change in the way to walk, talk, think and behave. 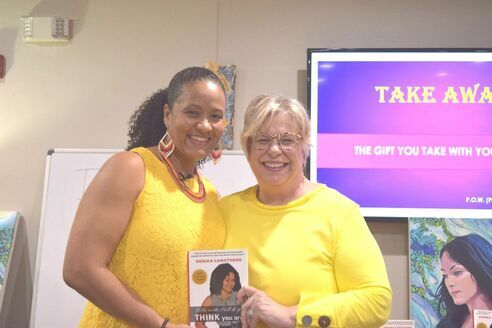 In addition to her gift of warming the spirit, Denika Penn-Carothers exudes a caring personality, a beautiful smile and someone I am glad to have met! 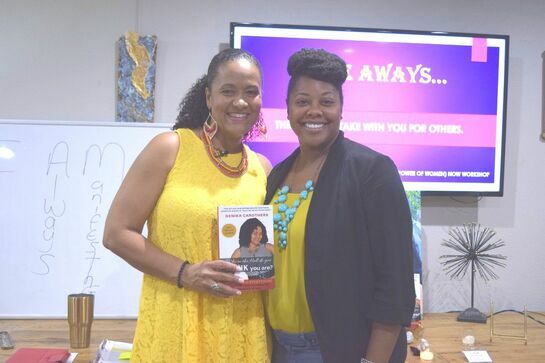 Purchase the book...she will change your life!! 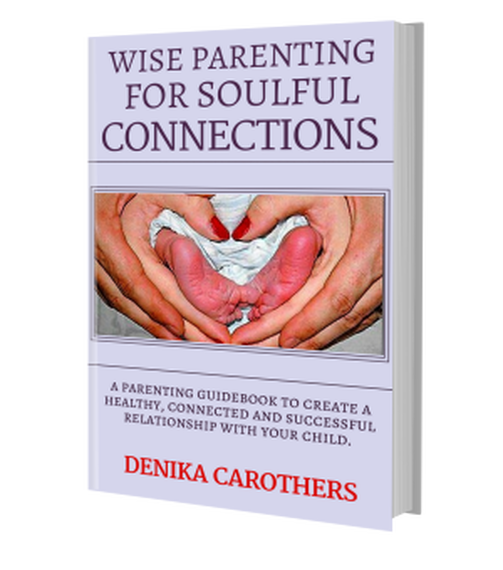 Get your digital downloaded copy of Wise Parenting for Soulful Connections today! Take action now and start to personally learn, witness and experience what’s possible when you transform your beliefs, penetrate your fears and master the fundamental skills necessary to create the ultimate soulful connected relationship with your child. How to overcome Parenting Challenges. How to Bond effectively with your child. How to understand and Nurture your child's temperament. How to identify your child's Love Language. The art of Conscious Communication with your child. Strategies to implement healthy Boundaries. The importance of Guiding your child from a place of encouragement rather than criticism. How to Discipline from love rather than from anger. Techniques to recognize and honor your own Emotional Needs. How to establish an authentic Soulful Connection with your child.